Magnum Contact Sheets shows the magic surrounding the all-encompassing 'decisive moment’ and how iconic images come to exist. 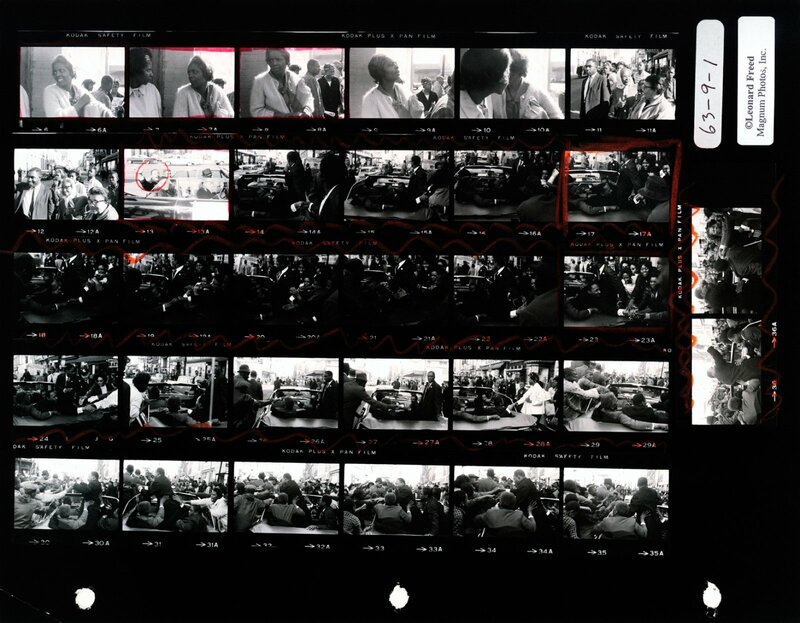 This exhibition offers insight into the working methods of the world’s most famed journalistic photographers, by looking at their original contact sheets. The exhibition consists of 60 contact sheets and associated single images and offers a chronological overview of outstanding historical moments from the 1930s to 2010. 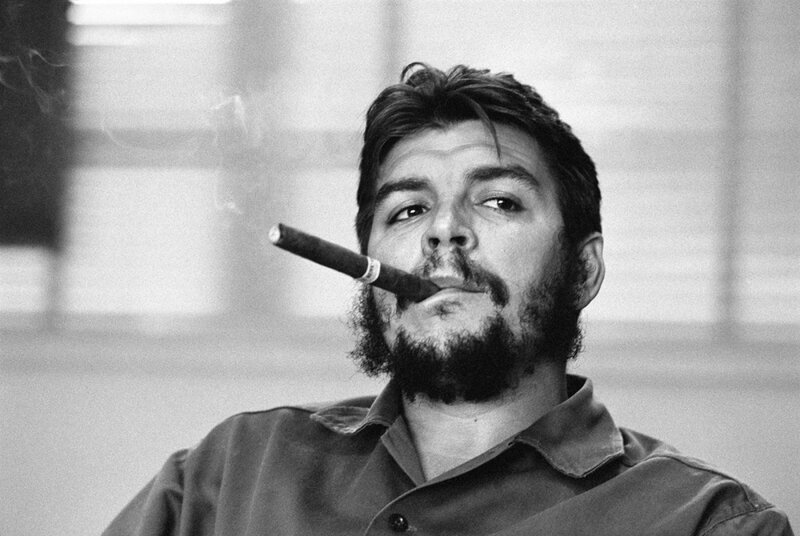 Work can be seen by renowned photographers such as Robert Capa, Henri Cartier-Bresson, David ‘Chim’ Seymour, Werner Bischof, George Rodger, Elliott Erwitt, Martin Parr, Jim Goldberg, Trent Parke, Paolo Pellegrin and Alec Soth. 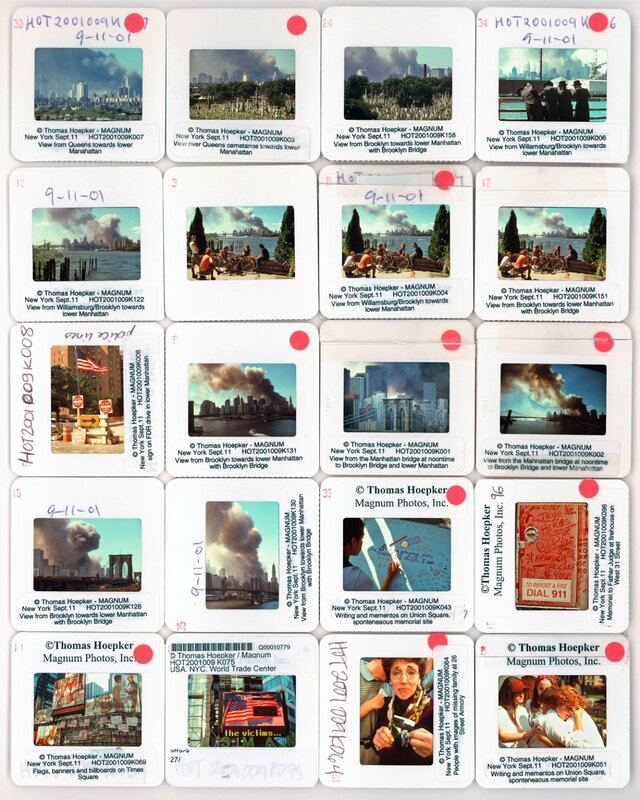 In Contact Sheets, the legendary agency Magnum Photos (established in 1947) shows for the first time the circumstances in which images by these photographers were created. Not only the moments before and after taking that one iconic photo are on show, but also the photographer’s notes, marking that decisive moment on the sheet, often long after the photo was shot. 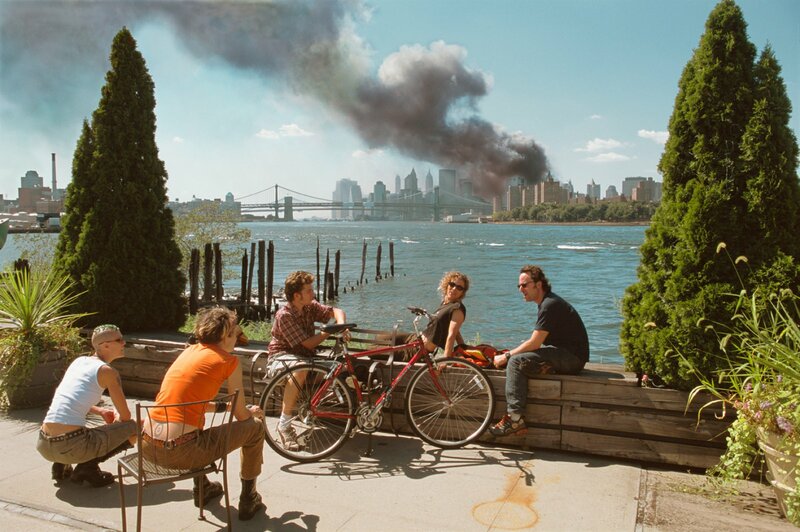 The presentation in Foam offers insight into the socio-political context of the photos and the general history of photojournalism as well as the origin of the photos. 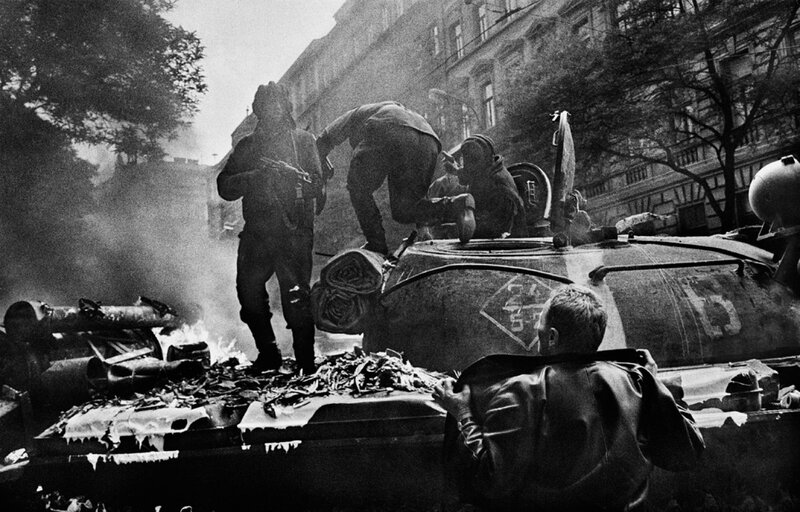 Subjects range from reportages of WOII, Prague Spring, icons such as Che Guevara, Malcolm X and Martin Luther King to the Balkan Wars and conflict in the Middle East. 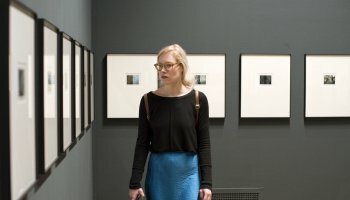 In addition to many original contact sheets and vintage prints, part of the exhibition is comprised of documentation, in order to understand the context in which the chosen image ultimately was used. Starting in the 1990s, large-format images have been used more and more often for presentations other than in newspapers and magazines. Since then, documentary work has gained more artistic status, a turning point for the appreciation of journalistic photography. Showing raw material means breaking a taboo. 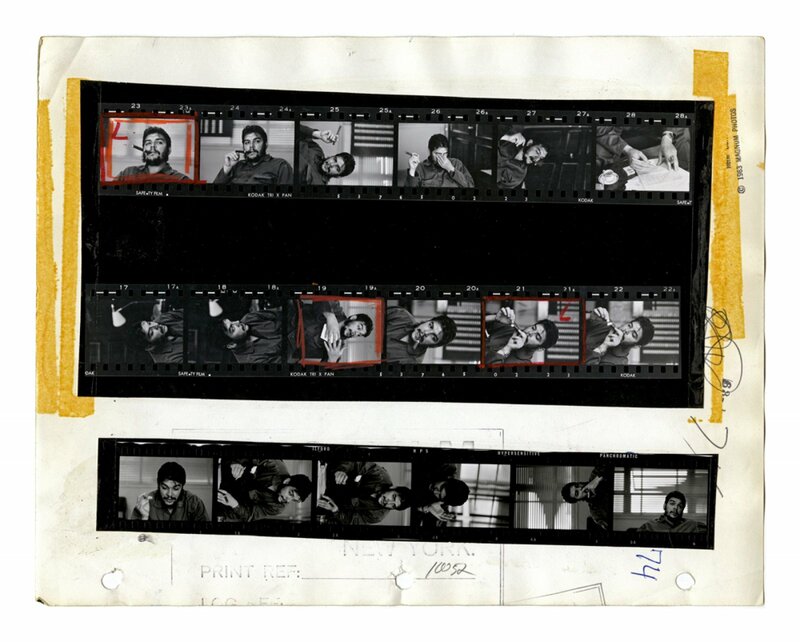 The contact sheet was never meant for publication or exhibition. It was primarily used as a type of notebook for the photographer. But this exhibition shows more than a sketchbook: it allows the various steps made in taking a photo to be viewed, as well as the mistakes, failures and lucky shots. The contact sheet documented everything surrounding a shot and this leaves the photographer more exposed, because it breaks through the aura and magic of the ‘single image’. The contacts offer a unique opportunity for the viewer to become directly involved in the creative process of the photographer. Through an ingenious hinge system in the frame of some photos, the viewer can examine the useful information on the back of the photo. The exhibition is above all a tribute to analogue technique. All analogue formats are included in the presentation, from standard 35 mm to panorama images and large-format photos in black-and-white and colour. 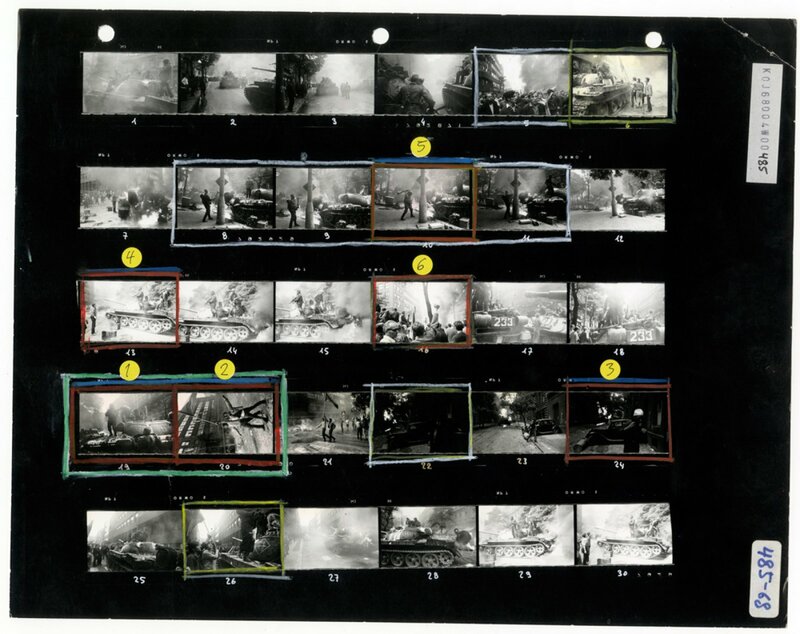 In the meantime, contact sheets have become relics of a technique that has now become completely redundant. Digitalisation has totally changed the working process and the materiality of the photographic medium. 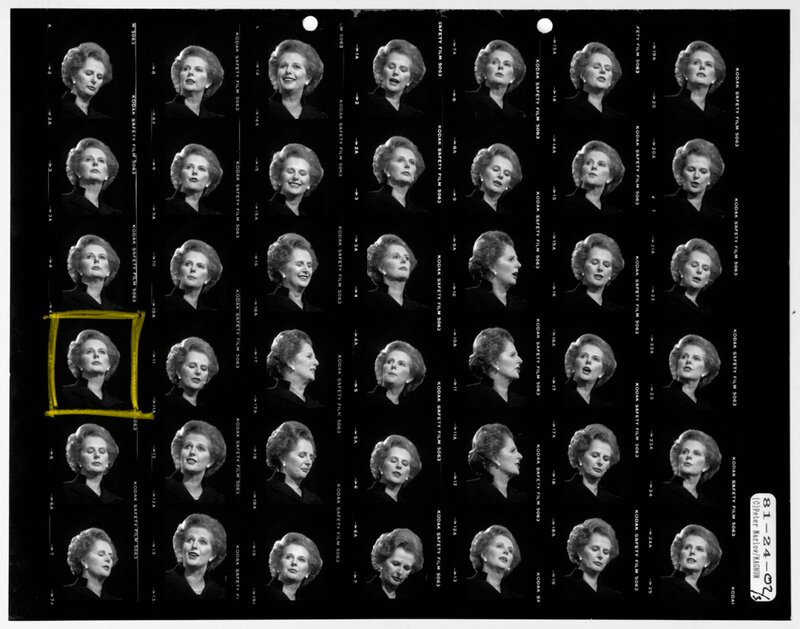 The contact sheet has become an object of the past, but it is also an artefact in itself. It symbolises an independent genre related to film, storytelling and tradition in photojournalism. 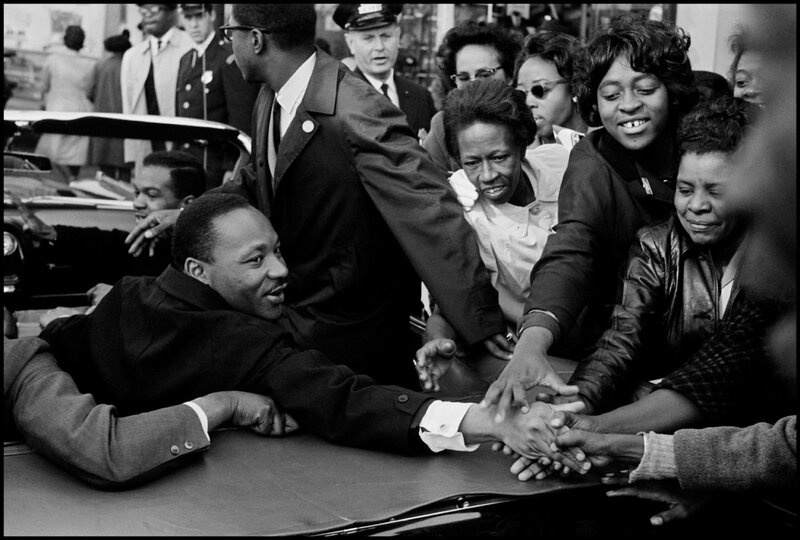 In addition to a monumental tribute, Magnum Contact Sheets is a swan song for a lost art form. The exhibition is a co-production of Magnum Photos, Forte di Bard and THOTH Publishers. This exhibition is supported by the Democracy and Media Foundation.